THE 'KING OF QUEENS' FUNNY MAN IS BACK IN LIVE MODE! Kevin James might be best known now as the star of The King of Queens, but his comedy career started well before that as a stand-up on the Long Island comedy scene. Taking pride in his working-class "every man" roots has ensured his enduring popularity both in live gigs and on screen, and his humor focuses on observation and his great gift for physicality, never mean-spirited or foul-mouthed, which makes him popular with all audiences. After being discovered at the 1996 Montreal Comedy Festival, James made the jump to television in 1998, starring in the hit series The King of Queens for nine seasons, finally earning him an Emmy nomination for Best Lead in a Comedy. Beyond television, James has made huge in-roads into comedy movies including 2006's Hitch opposite Will Smith (who can forget THAT dance scene?! ), as well as writing, producing and starring in Paul Blart: Mall Cop, Zookeeper and Here Comes the Boom, keeping his loveable doofus persona alive and kicking for the next generation of comedy lovers. Sound good to you? 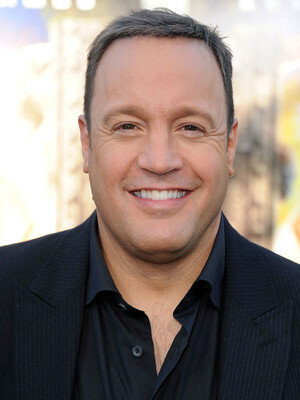 Share this page on social media and let your friends know about Kevin James at Wilbur Theater. Please note: The term Wilbur Theater and/or Kevin James as well as all associated graphics, logos, and/or other trademarks, tradenames or copyrights are the property of the Wilbur Theater and/or Kevin James and are used herein for factual descriptive purposes only. We are in no way associated with or authorized by the Wilbur Theater and/or Kevin James and neither that entity nor any of its affiliates have licensed or endorsed us to sell tickets, goods and or services in conjunction with their events.